Play Blackjack, Roulette or Video Poker at Intertops Poker or Juicy Stakes this week and you can win a share of their $2000 Casino Jackpot prize pool! October 4 – 10, hit designated events and win instant cash bonuses up to $300. Known for Texas Holdem and Omaha, both poker rooms also have a selection of casino games from Lucktap, Worldmatch and Betsoft. Games qualifying for this week's Casino Jackpots include four types of Blackjack: regular Blackjack, Face Up 21, Double Draw and Perfect Pair. Both types of Roulette are also included in this contest, American Roulette and European Roulette. There are ten video poker games to choose from: Deuces Wild, Bonus Poker, Double Bonus Poker, Jacks or Better, Aces and Faces, Double Joker Poker, Tens or Better, Joker Poker Kings, All American Joker Poker Aces or The Saloon). Intertops Poker and Juicy Stakes are paying extra casino jackpots for certain Blackjack, Roulette and video poker events until October 10th, 2017. Several types of Blackjack hands win instant casino jackpots. 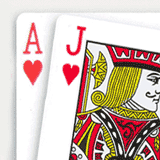 Ten players will win $20 each for hitting Hearts Blackjacks (Ace with 10, Jack, Queen or King, both Hearts). Another fifteen will win $10 each for Small Suite 21s (6,7,8) and one lucky player can win $300 for a Big Suite 21 (Ace 2,3,4,5,6). Red winning numbers on five consecutive spins of the Roulette wheel wins $5. The Roulette Collector Plan – hitting every number once (may over multiple sessions) – wins $100. 40 video poker players hitting four of a kind will win $5 each. Flushes – five card hands all the same suite -- will pay $10 to up to 20 players and up to 10 players hitting a Royal Flush (five card hand with a straight from ten to an Ace, all one suit ) will get $40 each. Intertops Poker and Juicy Stakes frequently host online satellite tournaments for big-money events in Europe and the Caribbean. The current series, which will send the winner to the Aussie Millions tournament in Melbourne, Australia continues daily until the Final this Sunday.